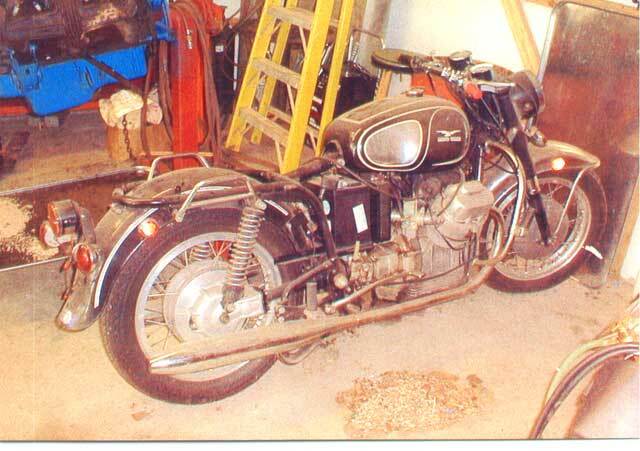 The bike is a 1971 750cc Ambassador, one owner for 31 years. The speedo showed 8900 miles. The engine hadn't been started in 15 years. 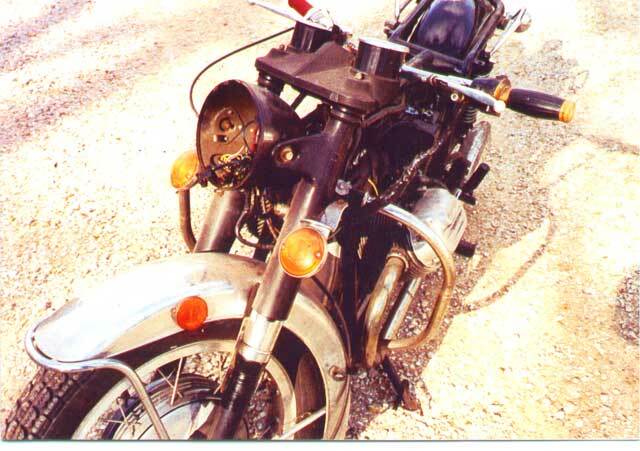 The bike was always garaged, and the owner remembered to turn the motor over a couple times a year. He knew you can't let machinery sit too long. He did the right thing because both cylinders checked out 165 pounds PSI. This Ambassador was like finding a lost treasure. Funny how it kinda fell into my lap. My son's a Boy Scout and on occasion we ride my '81 G-5 to the meetings. 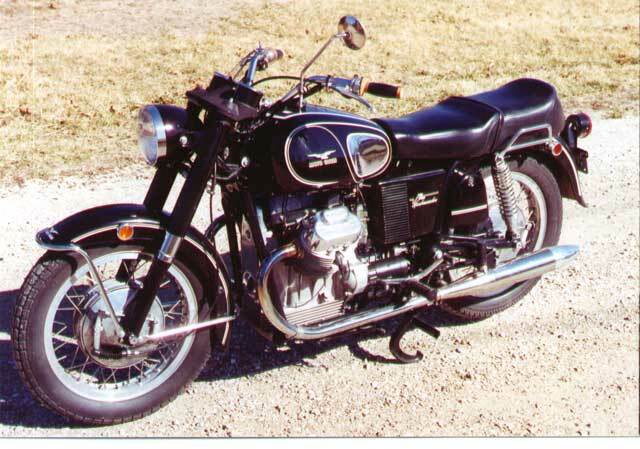 The Scout master (rides a Harley) said, "Boy, you don't see a Guzzi very often!" I told him that was right, but they're a great bike. He said, "I know where there's an old one. My partner's pastor has it in Springfield. I've seen it in his garage. "Oh really!" I said, "Why don't you find out more about it! I'm always curious about any Guzzi within 100 miles of here, I only know of three others in the radius: a T3, a white Eldorado, and my G-5." A couple of weeks go by and Mike reported back that it was a '71 Ambassador and if I was interested they might sell it. I told him I was and I wanted to see it. A couple weeks later Mike brought a photo which showed the old Ambassador looked to be in pretty good shape. But as you know photos can be deceiving. I was assured all the pieces were there. The negotiations began with Mike as the middleman. Not knowing the condition of the engine and other parts, I made a conservative offer. A few weeks later I was at work and Mike called. 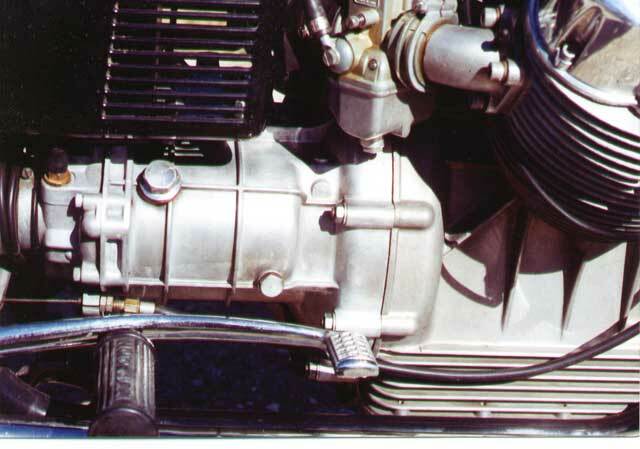 He said, "There's another Guzzi in town!" "What are you talking about?" I said. "Your bike, the '71 Ambo, it's in the back of the truck, get down here to my office." I wasn't even sure we had a deal yet, and no money had changed hands. We unloaded the Ambassador at my shop, and it did indeed come with all the right parts, including a set of Wixom saddlebags, luggage rack, and a complete original tool kit (that's a first in all my years of buying used bikes). Later, I was sent a shop workshop manual, Tips book, two original Ambassador sales brochures, a 1971 cycle magazine with this model on the cover, and road test article inside. He had saved all of this stuff and gave it to me! I was so excited with this find, and the fact that the engine appeared to be in such great shape. My enthusiasm took over and what would have been a six months of evening and weekend restoration, ended up with me working six days a week, one month marathon. The Ambassador looks and runs like new, as it should with only 9000 miles. I've ridden the Ambassador about 800 miles now, and the only problem was a leaky front main seal. There are now four Guzzis in my area, and two great ones are parked in my garage! After. Note: No inspection hole in bell-housing. It's a 5-speed transmission. Odd that there's no inspection hole here.